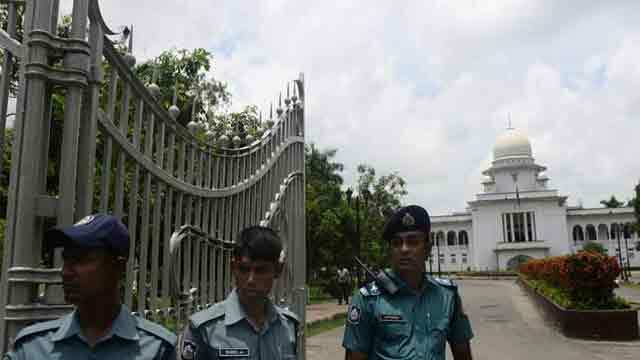 Dhaka, Apr 3 (Just News): The High Court today directed eight accused of two cases filed in connection with 1996 share market scam to surrender before a trial court. They will have to surrender before the trial court in a month after receiving the High Court order. The accused are -- directors of Security Consultants Limited MG Azam Chowdhury, Mohammad Shahidullah and Professor Mahbub Ahmed and directors of HMMS Financial Consultancy and Securities Limited Hemayet Uddin Ahmed, Moshtak Ahmed Sadeq, Syed Mahbub Morshed, Sharif Ataur Rahman and Ahmed Iqbal Hasan. The High Court, however, asked the lower court to consider bail if the accused pray for it after surrendering in the cases. The High Court bench of Justice Mohammad Rais Uddin passed the order after accepting two appeals filed by the Security Exchange Commission against the lower court verdict that acquitted all the eight accused from the share scandal charges. The special tribunal of Bangladesh Securities Exchange Commission of Dhaka on February 1 this year acquitted all the eight accused, saying there was not sufficient evidence against them, Deputy Attorney General Shafiul Bashar Bhandary said. The security exchange commission had filed two separate cases against the accused in 1997 for manipulating the share market prices in 1996, the DAG said. The security exchange filed two separate appeals with the High Court on March 25 this year against the special tribunal’s verdict.